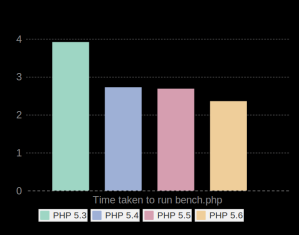 This graph shows the time it takes for each version of PHP to perform the same task, on average, with oldest PHP on the left and moving forward in time. 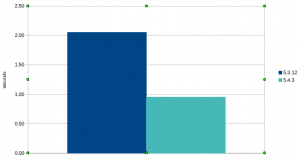 A while ago I did some benchmarks on how different versions of PHP perform in comparison to one another. 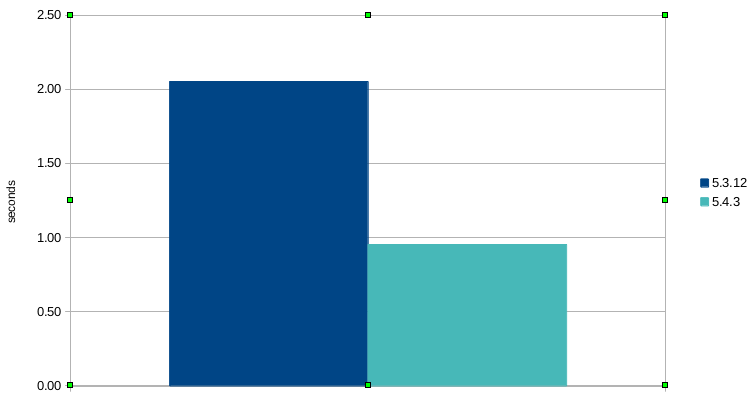 This isn't a performance measure in absolute terms, this was just benchmarking them all on the same laptop while it wasn't doing anything else, and averaging the time it took to run the benchmark script. So recently I was working on some benchmarks for different versions of PHP, because I heard that PHP 5.4 is "faster" and since I'm a data geek I want to know how much faster! 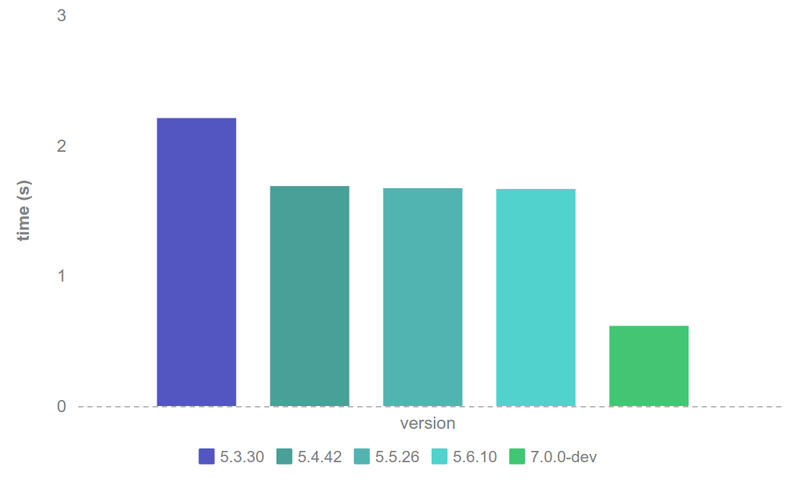 Now, PHP 5.4 is, in general, faster than PHP 5.3 but not twice as fast* unless you pick a use case which has been particularly optimised.